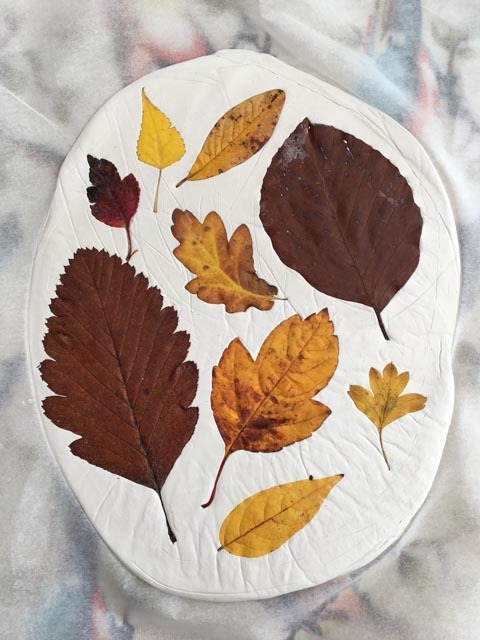 You may have thought we were running out of Autumnal crafts as we seem to be crafting a lot but I have a new one to share today. 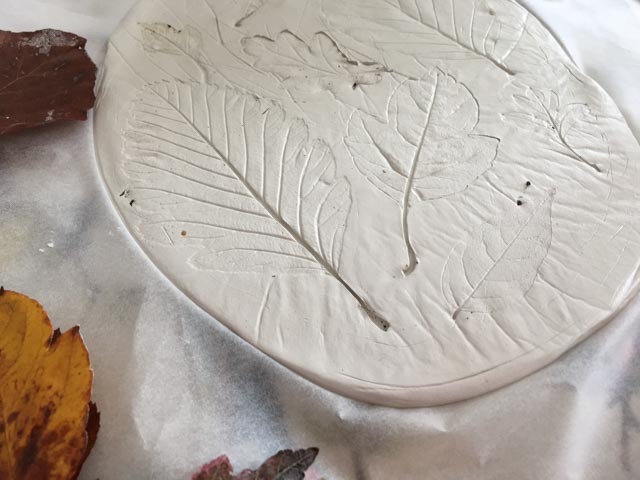 I finally got round to trying leaf printing on air drying clay. 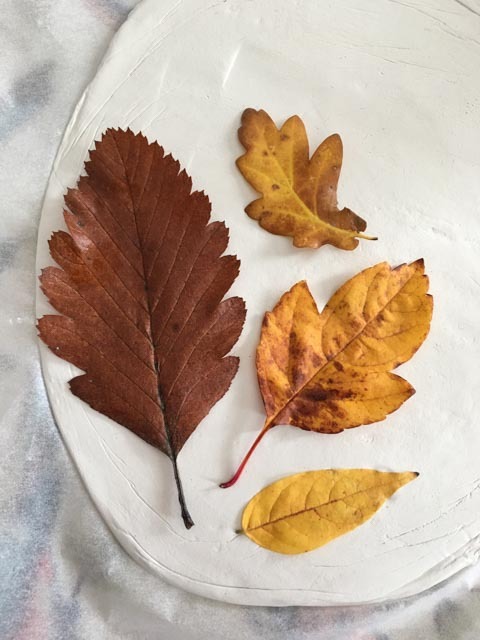 I like air drying clay, it’s really versatile and I wanted to do something with the leaves my 3 year old keeps giving me. 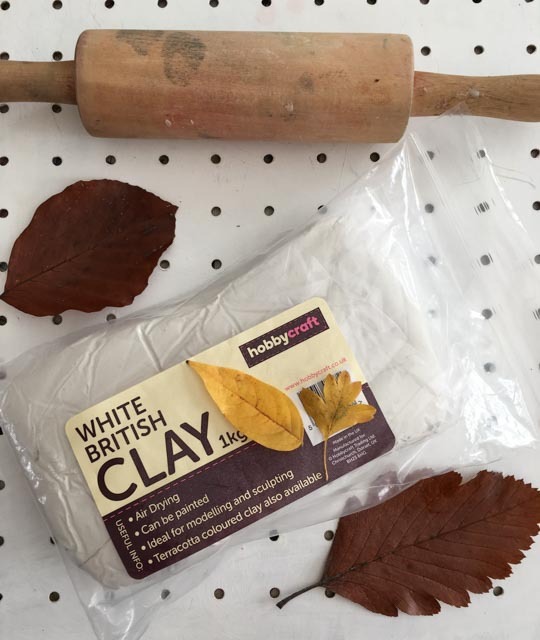 I rolled out the air drying clay until it was a couple of millimetres thick then placed a selection of different leaves on top. 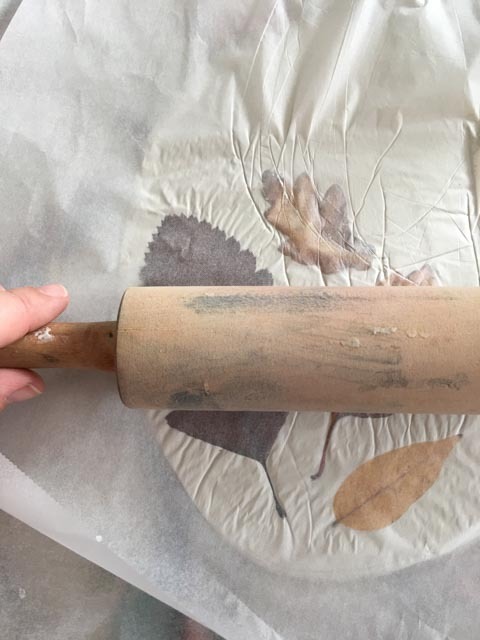 I placed a sheet of greaseproof paper on top and gently used a rolling pin to press the leaves into the clay. This is what it looked like. Aren’t those Autumn leaves so pretty? 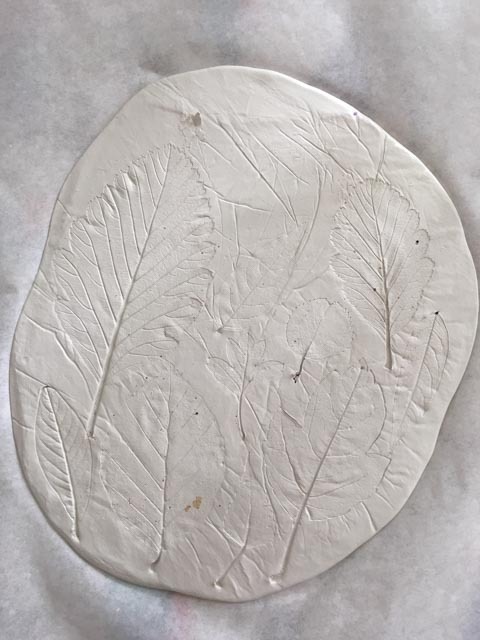 I used a pin to careful lift up a corner of the leaves and removed them from the clay. I actually made two of these. One I left as it was for painting when dry. The other I made into small decorations by cutting out circles from the clay using a round cutter. 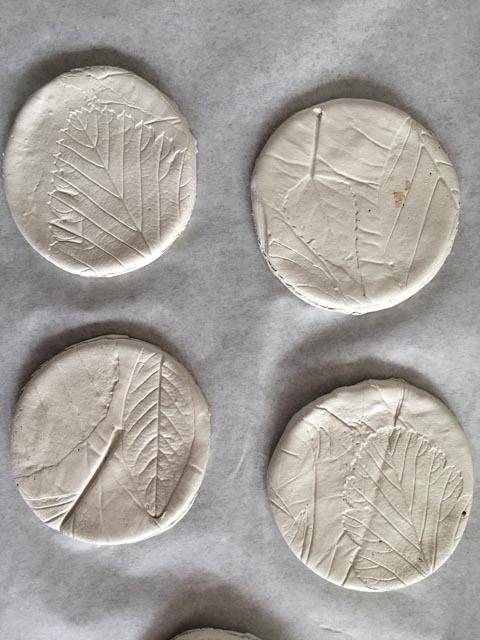 Then I left the clay impressions on a small tray out of reach of my children for a few days until they had completely dried. If you want to hang your decorations make sure to make a small hole with a knitting needle. 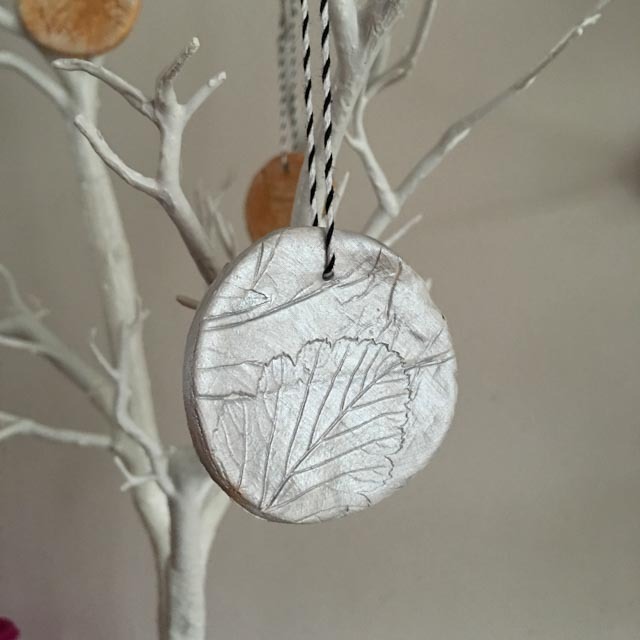 When the clay circles had dried I painted over them with gold and silver metallic paint. The paint seemed to pick up the details of the leaves really well. I added some Bakers twine and hung them on our seasonal tree. They make great decorations and I would be happy to make these with my children too. 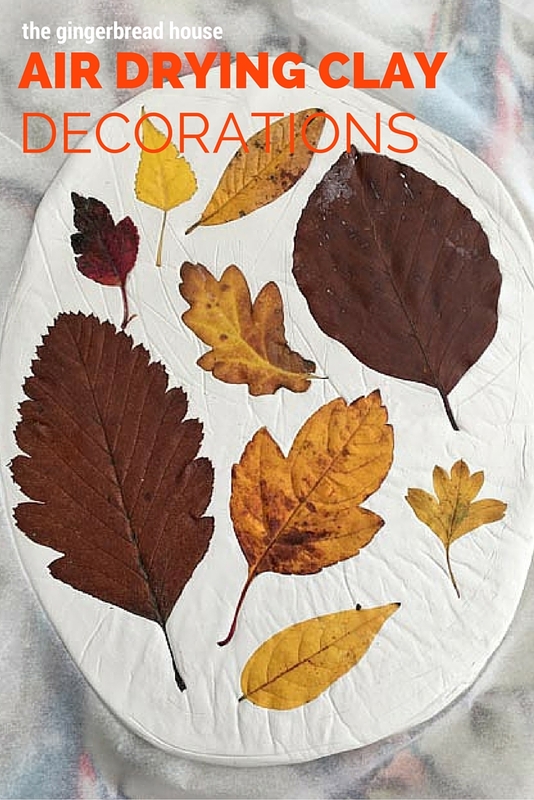 These are really pretty and a lovely autumn decoration. 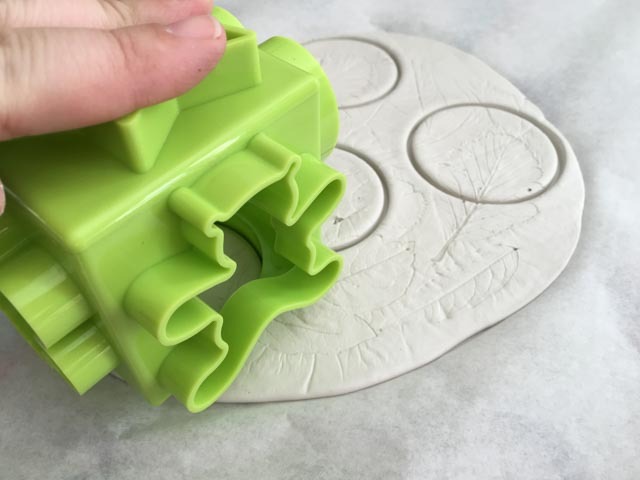 My son has been asking to use clay, I must get some.